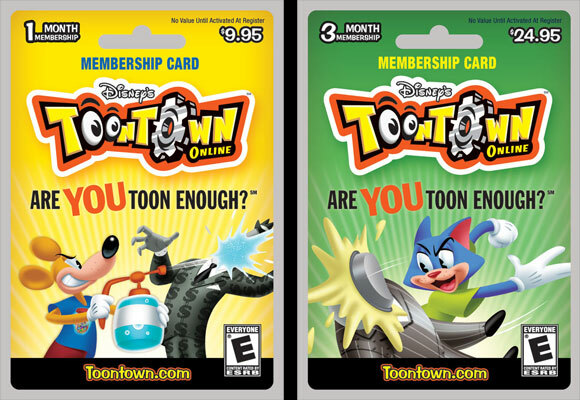 These two samples of 1 month and 3 month subscription card packaging. 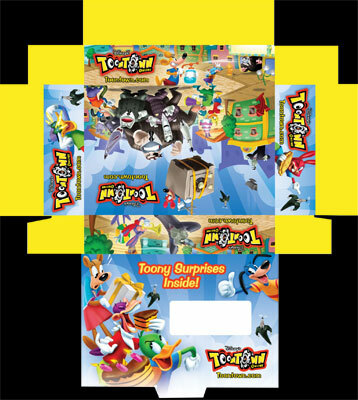 This is a gift box I designed for promotional advertising for Toontown. 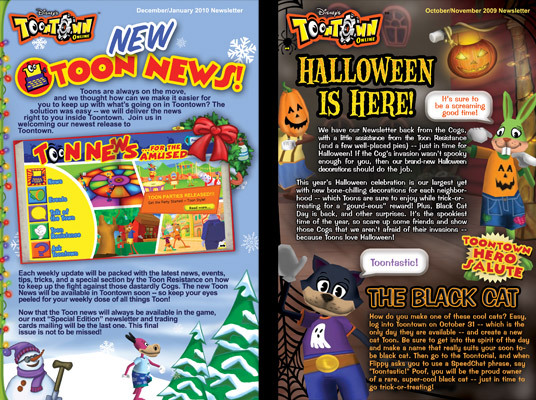 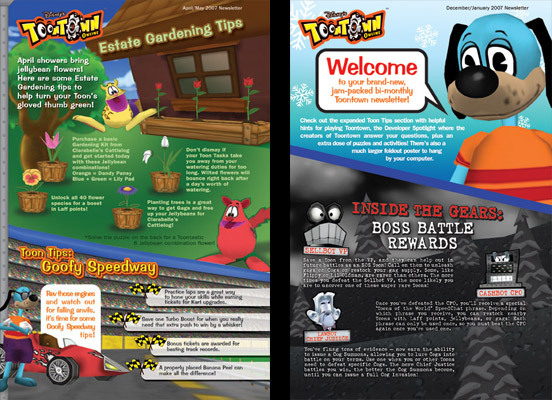 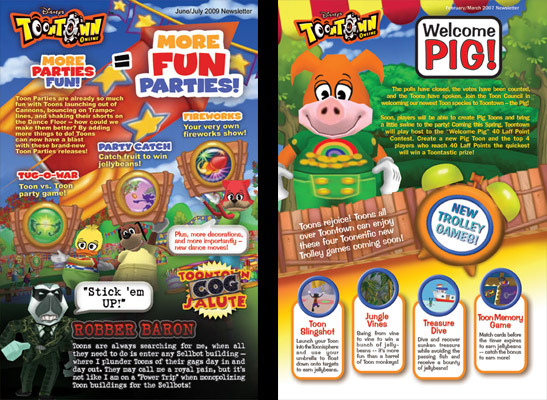 These are newsletters that I have art directed for Disney's online game "Toontown".